OnePlus has not been strictly following a one-year cycle for its high-end smartphones. The current top end device of the company – OnePlus 2 – is set to be replaced in less than a year. The upcoming device, OnePlus 3, has generated quite a bit of interest in recent months. The reduction in invite requirements for OnePlus devices seems to have played a major role in the increased popularity. Even then, the biggest attraction towards the upcoming OnePlus 3 maybe the price of around $300 for a phone which has class leading specifications, according to rumors. The OnePlus 2 had some powerful features in its arsenal, but they will not be enough ahead of several new launches in the next few months. The major talking point ahead of the OnePlus 3 launch is the design of the phone, which has been revealed in a few leaks. If they are indeed true, one could be looking at a device that mimics HTC’s high-end phones with regard to usage of materials. Fingerprint scanner could be a big improvement on the OnePlus 3. The leaked pictures hint that the phone will come with the latest OxygenOS 3.0.0, thus finally seeing OnePlus offer the android 6.0 marshmallow in one of its phones. Up until now, OnePlus has struggled to offer the update in its OnePlus 2 and OnePlus X, which continue to run on the 5.1 version. The OnePlus 3 will not only provide a major improvement in terms of design and operating system, but some crucial areas are expected to be revamped as well. 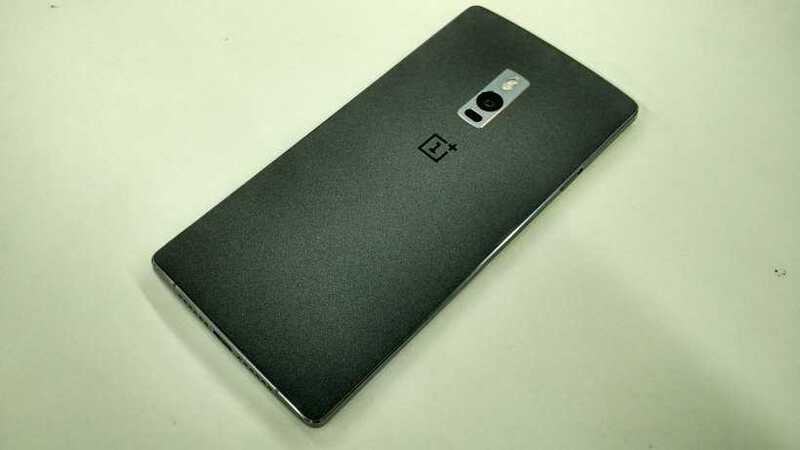 The front facing five-megapixel camera on the OnePlus 2 will be done away with in favor of a new eight-megapixel camera. Similarly, the 13-megapixel rear camera is set to be replaced by a 16-megapixel camera on the OnePlus 3. The screen size, though, will remain at 5.5 inches as does the resolution of 1080p. This may be an area where the OnePlus 3 loses out against the top end phones like the Samsung Galaxy S7 and HTC 10. The snapdragon 810 processor will be upgraded to the 820 range in the OnePlus 3 and it will be supported by 4 GB of RAM. OnePlus 3 is likely to do away with the base 16 GB variant and instead offer a 32 GB model as the starter. The OnePlus 3 is expected to be launched before the end of May for around $300.